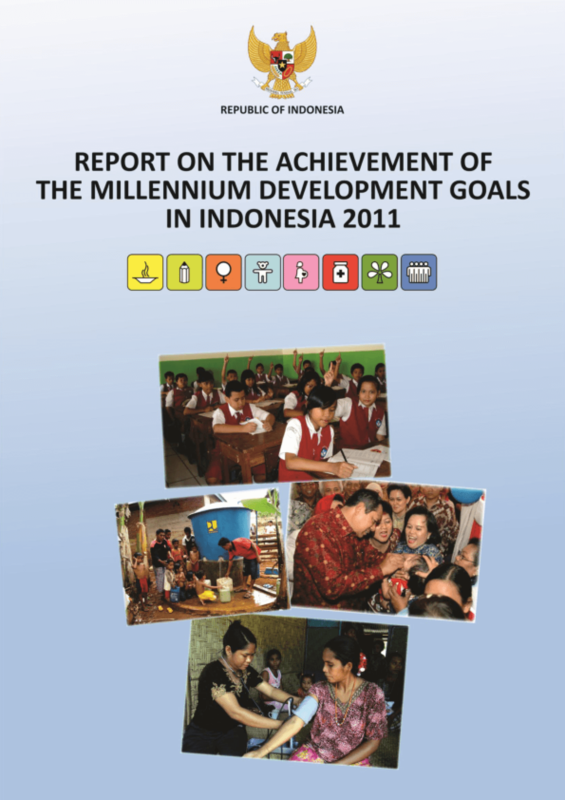 This Report on The Achievement of The Millennium Development Goals in Indonesia 2011 is the seventh edition of its kind that has been published nationwide since its first publication in 2004. It aims to inform on the progress that we have collectively made and to demonstrate the people's commitment to bringing the United Nations Millennium Declaration of 2000 to fruition. Moreover, it summarizes the conditions, trends, and significant efforts on the acceleration of the goal achievement as of 2011, to be used as a basis to develop efforts required to achieve the MDG targets by 2015. The Report was prepared by a Team comprising a Steering Team and a Technical Team/ Working Group that reported to the Minister of National Development Planning/Head of BAPPENAS. Our utmost appreciation and gratitude goes to members of the Writing Team for their hard work and contribution to finalize this MDGs Report. Copyright 2012 Ministry of National Development Planning/ National Development Planning Agency (BAPPENAS).